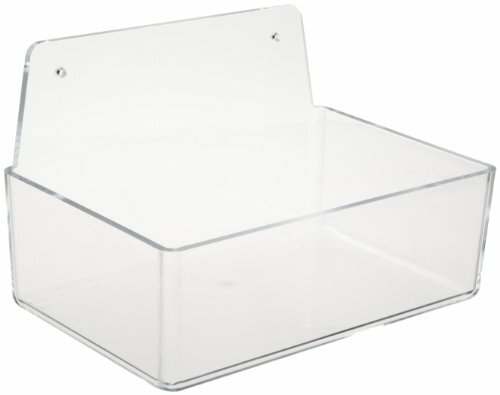 Brady 45682/PD205A clear acrylic dispenser tray without lid, dispenser size is 3" height, 9" width, 6" depth, with 6" back plate. Size is 3" height, 9" width 6" depth with 6" height backplate, color is clear, application wall mount or table top, and material is acrylic clear plastic. Brady 2019 3" Height, 9" Width, 6" Depth With 6" Height, Backplate, Acrylic, Green On Clear Color Compact Ear Plug Dispenser Without Cover, Legend "Hearing Protection (With Picto)"